Some of the famous women’s hairstyles have been autographed or some of the celebrities are symbolized iconic by their style. So today we want to show you the most iconic bob haircuts of many female celebrities. Cameron Diaz has been sporting bob hairstyle for a long while and this side parted short bob is just perfect for her face shape and her age. Long choppy bob hairstyle of Lucy Hale is colored with blonde highlights, it looks effortlessly stylish. Her short pixie bob is really mind blowing idea for black ladies, ash blonde hair color emphasize her facial features. Angled hairstyle of Jennifer Lawrence is perfect for ladies with oval face, if you have fine hair you should try this haircut. With her deep side parted short bob hair and loose waves, Marion Cottilard looks definitely gorgeous! She has been sporting this blonde bob hair, her hair in this pic is messy and almost look greasy. Honey blonde hair color and side parted bob hair with loose waves would be a best choice for wheat-skinned ladies just like Sofia Coppola. 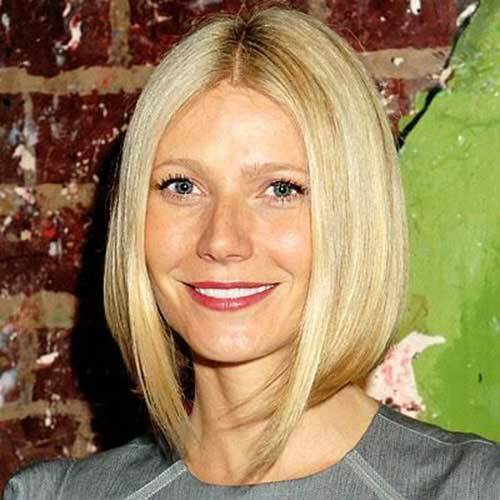 If you have round face shape and want to make it look much more oval shaped this haircut is perfect for you! Wavy bob hairstyles are perfect for women of all ages you can easy opt with this style by using hair spray and curling iron. 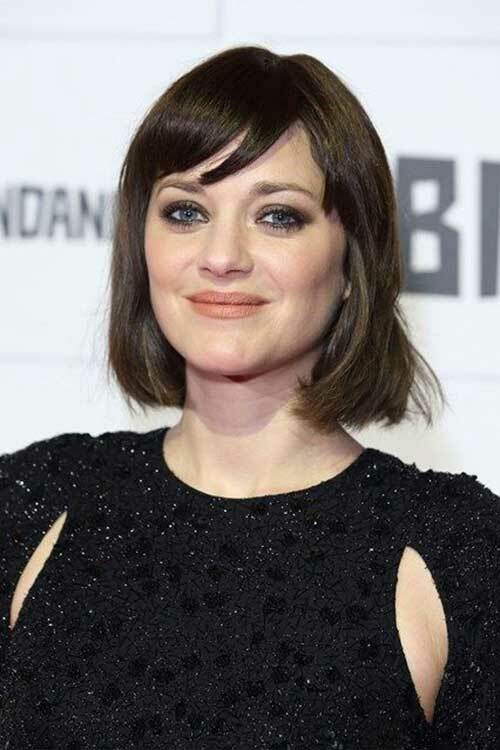 Marion Cotillard choose to sport straight bob hair with side parted bangs for this event. She is a great actress and she is just beautiful, we got used to see with her dark hair but this highlighted bob is also looks great on her. One side is tucked behind the ear, this wavy bob is great for special events and classy looks. Thick and straight hair may look little bit too full with blunt cut but you can create nice look with light hair color. End of this gallery we will represent you pixie bob hairstyle of Evan Rachel Wood, messy waves creates a nice style.